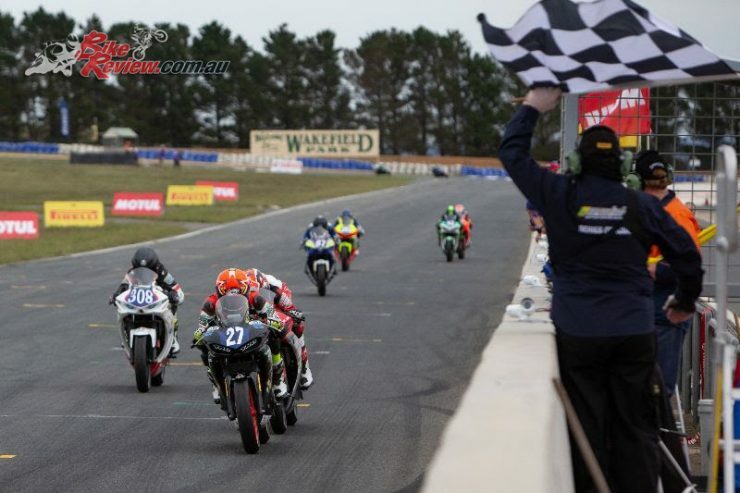 Max Stauffer demonstrated to the field that he’s capable of winning races right to the line, as he claimed not one but two last-lap victories at Round 2 of the Motul Pirelli Australian Superbike Championship at Wakefield Park in both YMI Supersport 300 and YMF R3 Cup classes. 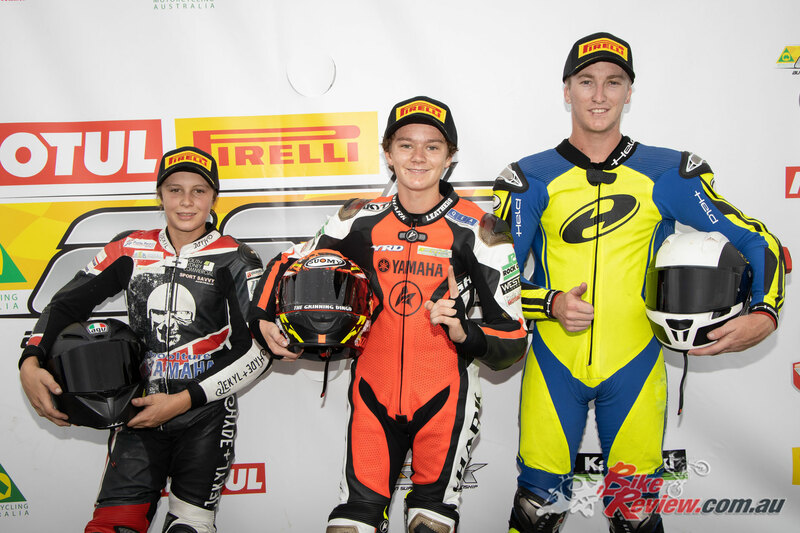 Stauffer notched up two come-from-behind victories backing up his pole positions in each class, making for an excellent start to the weekend for the young Yamaha rider. The first qualifying session of YMI Supersport 300 saw Stauffer on top again, a 1:06.433 claimed the session. He further lowered the mark in Qualifying 2 with a 1:05.536, taking pole ahead of Ben Baker (Motostars, Yamaha YZF R3 321), and Zac Levy (Puma RV’s, Yamaha R3 321). 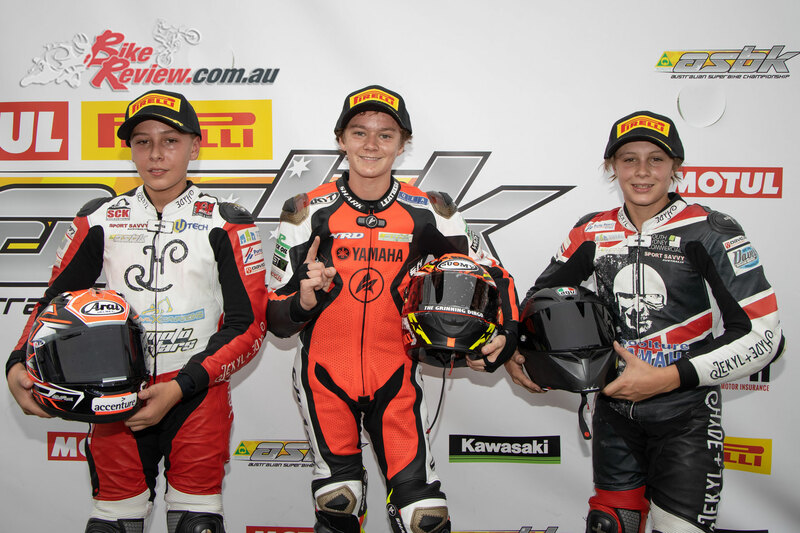 Stauffer led them off the line ahead of Baker and Levy, with Locky Taylor (Yamaha Australia, Yamaha R3 321) and Lytras having swapped positions to end up in fourth and fifth. A battle pack was forming at the front between Baker who meanwhile had now taken the lead off Stauffer, then Levy, Taylor, Lytras and Harry Khouri (Excite M-sports, Yamaha R3 321). Grace Poutch (SC Project Oceania, Kawasaki EX400) and Jeremy Czmok (Dindins Pet Food, Yamaha R3 321) crashed at turn eight on lap seven, while Stauffer was bundled back to third behind Baker and Lytras. But Stauffer was not done yet, making up two places on the last lap to find his way back to the lead. Stauffer took the win ahead of Baker, Lytras, Levy, Taylor and Khouri in a thrilling finish. Stauffer was quick to stamp his authority on the first qualifying session in the all-Yamaha class too, posting an early fast lap of 1:05.778. However Baker had other ideas and set fastest time of the session with a 1:05.664. In the second session Baker lowered the mark further with a 1:05.664, but Stauffer responded and reset the mark to 1:05.555. He was never headed, and took pole for the afternoon’s race ahead of Baker (1:05.66) and Lytras (1:05.791). Baker took the early lead off the line ahead of Stauffer, hoping to make up for missing out on the YMI Supersport 300 win moments earlier. But Baker was adjudged to have jumped the start and was awarded a 10 second penalty, leaving Lytras at the head of the field and Stauffer in second place. 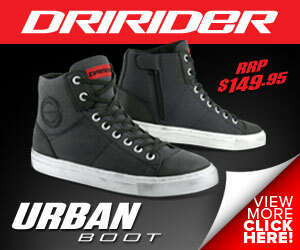 Hunter Ford (Yamaha, Yamaha R3 321) and Taylor were next in the train. At the chequered flag once again, it was Stauffer who edged the penalised Baker and eventual second-placegetter Lytras by half a second. Baker’s post-race penalty would see him drop to ninth, promoting Ford to join Stauffer and Lytras on the podium.